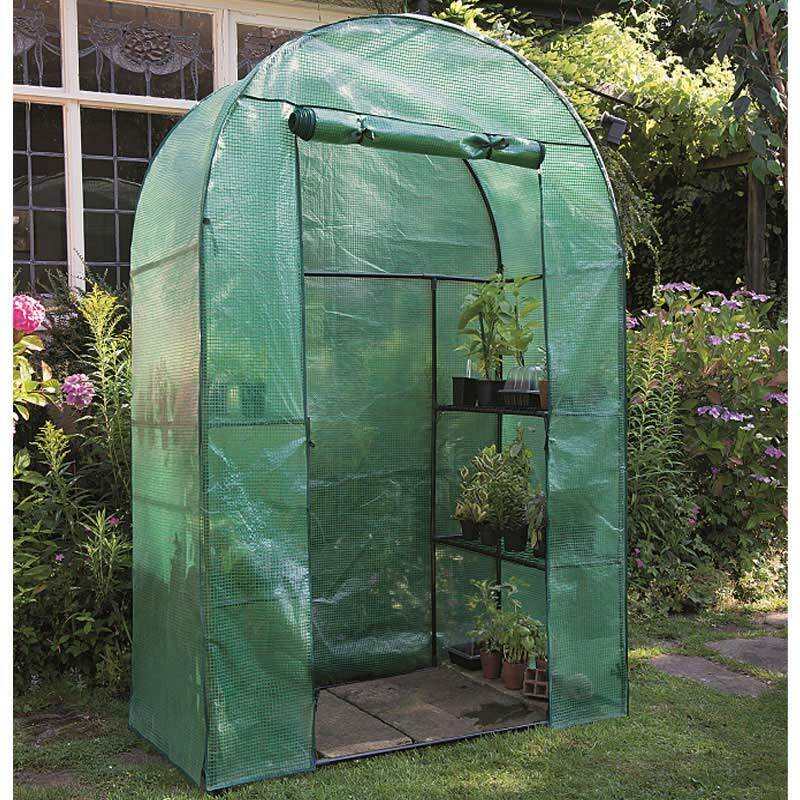 This ingenious and versatile Gardman Compact Walk-In Grow Arc has a strong metal frame and reinforced polyethylene cover with zips for easy access. 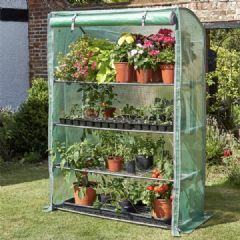 Inside there are 2 tier shelves either side which are ideal for pots and seed trays. 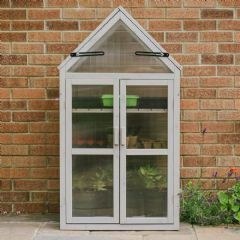 This good looking grow arc has a push-to-fit powder coated frame which requires no tools, so it is easy to build and will keep looking attractive for many seasons. 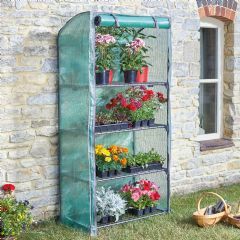 The metal mesh shelves locate across the frame rails, giving your plants a secure platform to sit on, that is also free draining. 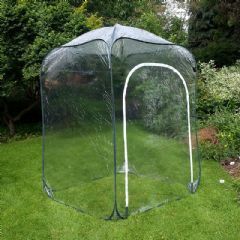 The curved arc allows you to freely enter the growhouse, and gives more head room when you are tending to your plants and cuttings. 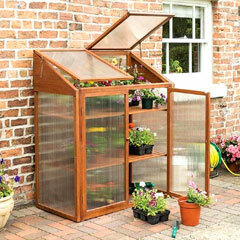 The design also allows you to take shelves out, giving you the option to optimise the layout to what suits you best. Customer note: Base is not included.